Now we have a chance to lead the nation with the first bill that truely and completely nullifies Obamacare! This bill is not just about the so-called Affordable Care Act — it is about the states finally telling the federal government that we’re not going to sit by and allow them to trash the Constitution and the principles of federalism any longer. To make HB 1534, the Obamacare nullification bill, a Senate priority we are going to have to muster a great show of force. The best way to do that right now is with a huge quantity of witness forms for Tuesday’s hearing. Senator Cunningham is already sold on this bill and she doesn’t want a long or complex hearing, so we can save a mass rally for later, but right now about 1000 witness forms is just what is needed. Please ask the members of your organization and other friends to go HERE for more information or go directly to this Witness Form. Here’s a map of the witnesses at the time this email was drafted. Posted on May 7, 2012, in AMERICAS, North America, ObamaCare, Tenth Amendment, United States, United States Constitution, War's and tagged Affordable Care Act, Missouri, nullifies, Patient Protection and Affordable Care Act, Senate, Tuesday, United State, United States Constitution. Bookmark the permalink. 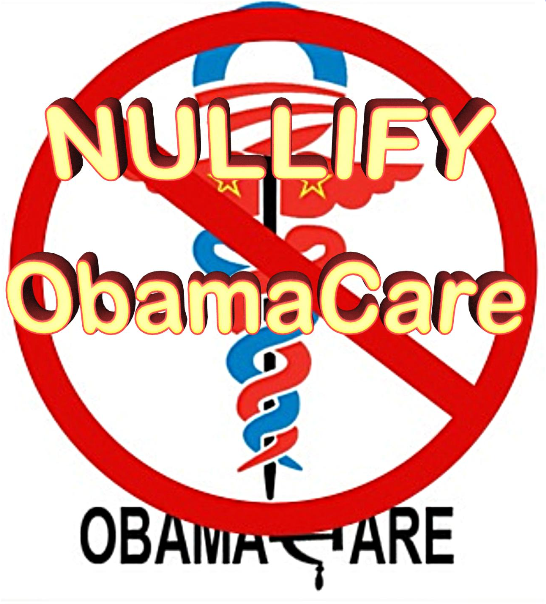 Comments Off on Nullify ObamaCare in Missouri!.